fuel pump pad, Marine Bi-directional Water Pump. Needs an Electric fuel pump. 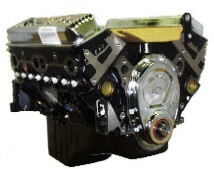 P/N 57320VB Special - Base Engine with Intake, Carburetor, Fuel pump, Fuel line, and Ignition system. 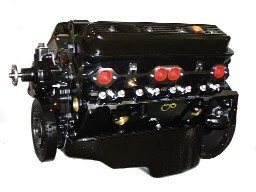 1 piece seal, 9.0 to 1 compression ratio Specially tuned 4 bolt main 350 delivering great power in a small package. 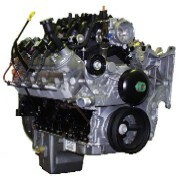 With its Vortec cylinder heads this 350 produces great power for the performance enthusiast. 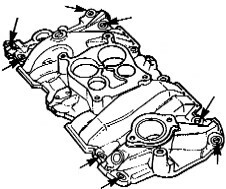 Peak torque is 480 lb-ft @ 3800 RPM while peak horsepower is 330 hp @ 5000 RPM. Coils, Dampner & Water Pump.